As expected, U.S. Rep. Filemon Vela, D-Brownsville, was one 16 House Democrats to sign a letter made public on Monday opposing their party’s leader, Nancy Pelosi, to be the next house speaker. If successful, ousting Pelosi would send a tremor through the party and signal a serious divide throughout the caucus, as Pelosi has led House Democrats for 16 years. Democrats regained control of the House during the recent midterm elections, while Republicans maintained power in the Senate. House Democrats are scheduled to have an internal vote on their next speaker Nov. 28, with a formal floor vote Jan. 3. “As we head toward the 116th Congress and reclaim our Democratic majority, we believe more strongly than ever that the time has come for new leadership in our Caucus,” the letter began. 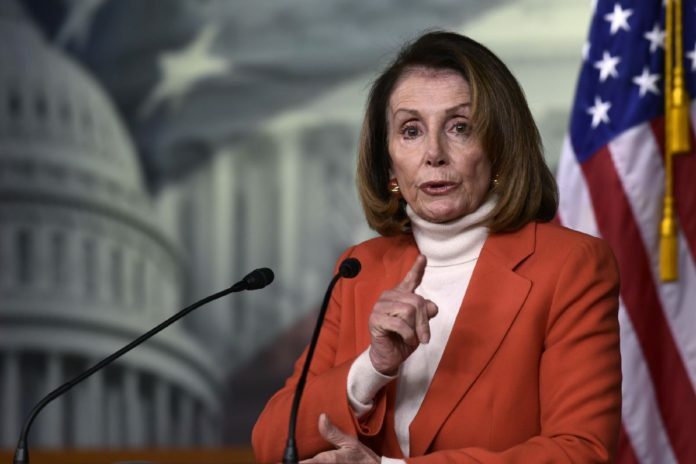 Pelosi needs 218 votes to claim the speaker’s gavel, and if current uncalled House races hold, Democrats will account for 233 seats in the House, which means Pelosi could only lose 15 votes. “However, we also recognize that in this recent election, Democrats ran and won on a message of change,” the letter continued. “Our majority came on the backs of candidates who said that they would support new leadership because voters in hard-won districts, and across the country, want to see real change in Washington. We promised to change the status quo, and we intend to deliver on that promise. The Rio Grande Valley Congressional delegation has been split on the future of the House Democrats. Vela has long been critical of Pelosi, but the other two South Texas congressmen have not. U.S. Reps. Henry Cuellar, D-Laredo, whose district extends through Starr County to Mission, and Vicente Gonzalez, D-McAllen, are both likely to vote for Pelosi. “I’m not an easy yes, but I’m a likely yes,” Gonzalez said in an interview in early November, adding that he has some questions about bill amendment procedures. “I want to see some rule changes and I want to see the blue dog Democrats part of leadership,” Cuellar said in an interview earlier this month, referring to the conservative sect of the Democratic Party, which he falls under. Vela, meanwhile, has outright opposed Pelosi. “She led 100 Democrats to vote for $1.6 billion toward border wall funding, most of which is in Hidalgo County,” Vela said in an interview earlier this month.